Best Countries for Adventure Travel – The more adventurous things I try, the more I want to experience – when you travel you get to experience some amazing adventures, some simply seem to happen to you when you head out on the streets, while others are more planned adventures like sky diving, going on a Kilimanjaro trek, a 2 week surf trip, or visit the “Parijs van Java”, or the Paris of Java, and hike along the edge of the Tangkuban Perahu Crater, and stay at the Hilton Bandung and after your various adventures enjoy the ultimate relaxation at the Hilton’s Jiwa Spa in Bandung, Indonesian. The more I travel, the more I dream of new places I want to visit and things I want to experience – dreams inspire me to go out there and live life to the fullest, and often I’ve dreamed of things that a few months or years later have become a reality. “It’s important to have specific dreams. Dream Big. Dream without fear” – Randy Pausch These are some adventures I dream of doing in the next few years. We all like different kinds of adventures, some suit us and some don’t – here is a list of some awesome adventurous countries & activities for everyone. 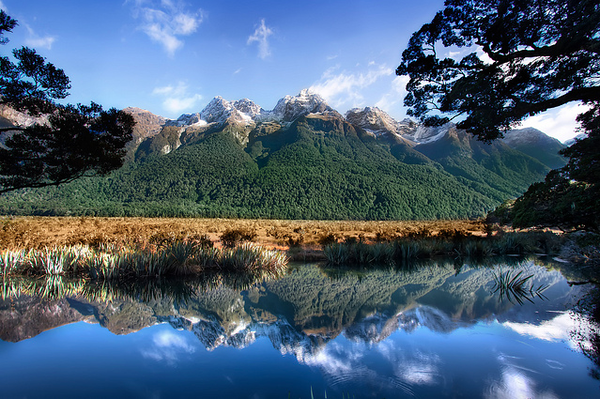 New Zealand is like a playground for all things adventurous – from extreme sports to some of the most amazing hiking or relaxing sea kayaking. First man to climb Mt Everest, the man who “invented” bungee jumping, the invention of Zorbing – don’t ask me why these crazy ideas all come from Kiwis, but if you’re into this kind of thing, New Zealand is the place to go. 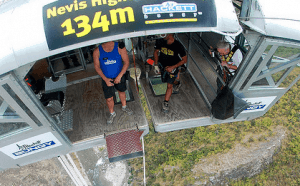 Sky diving over Fox Glacier, bungee jumping in Queenstown, multi day treks in Able Tasman – it’s all there for you to explore. Indonesia has some crazy surf and you can spend a whole week or even two on a boat together with a group of like-minded people, a guide and a chef who cooks all your meals. 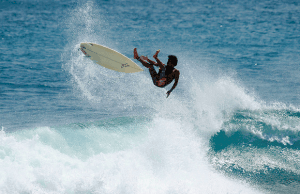 You travel between surf spots, surfing all day long and at the same time get to explore the amazing Indonesian islands – for those who love surfing, this is the ultimate adventure holiday. Alaska, especially Valdez, is famous for its incredible heli-skiing opportunities, making it possible for you to ski down deep powder snow in otherwise unreachable places, and spend the evenings in cozy huts that are literally in the middle of nowhere. In this region, whether you go skiing, dog-sledding or go sea kayaking through the glaciers, you get to be one with nature. Vanuatu is that paradise island that you have always pictured in your head or have saved as a screensaver on your desktop. And you know that empty beach you’ve dreamed of? Vanuatu is a dream for people looking for adventure travel. There is a reason why Survivor has been filmed there so many times, because it is so easy to get away from civilization and reach seemingly untouched nature. If you have the money to afford it, you can cash out on an adventure to an active volcano, or spend stay a few nights with an ancient tribe in the jungle on one of the many remote islands. I’ve always found Norwegian people easy going and lighthearted – maybe it’s their happy, joyful sounding dialect, but it’s difficult to imagine a Norwegian person being really angry. In Voss, right in the middle of Norway’s most spectacular fjord landscape, the town of Voss has become the capital of what in my eyes is the absolute craziest sport that I have ever encountered – wing suit base jumping. Watching this sport is enough for me, but if you’re crazy enough and have your own sky diving license, then you could try it too. There are fortunately other ways to enjoy the nature, cliffs and fjords – you can go river-boarding, rafting, kayaking or even cliff jumping. The best photos I’ve seen of Cape Town have all been from above, the city is just breath taking, especially with the beautiful coast line and lush hills surrounding the city. 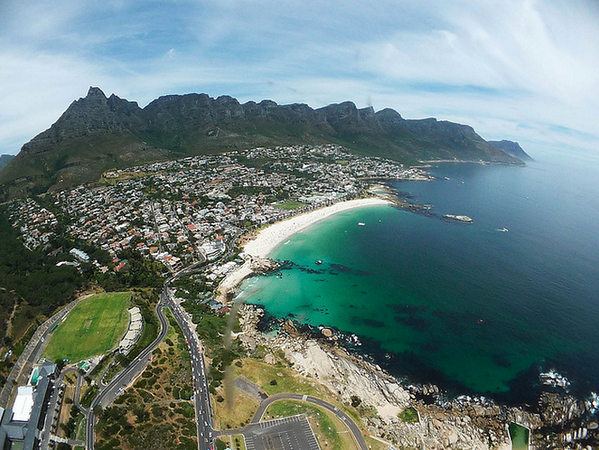 So I can’t imagine a better place to para-glide than in Cape Town, and a chance to take in the views in peace and quiet. I admit that last time I rode a horse, I didn’t have the best experience, and that annoyed me – I used to horse ride as a child, and I wish I wouldn’t have quit so early – today I dream of galloping along beaches and beautiful landscapes, although maybe on a smaller horse than on my previous horse riding trip in Portugal. Going horse riding in Iceland’s Golden Circle past waterfalls, hot springs, geysers and lava fields on the small but strong Icelandic horses seems like the most amazing experience. With its unique volcanic landscape, cliffs, beaches and craters, Hawaii has an incredible nature that I can’t wait to experience. And seeing it all from above in a helicopter would be epic! It would be a great opportunity to see remote places that you normally wouldn’t be able to reach, and flying in a helicopter is half the fun..! 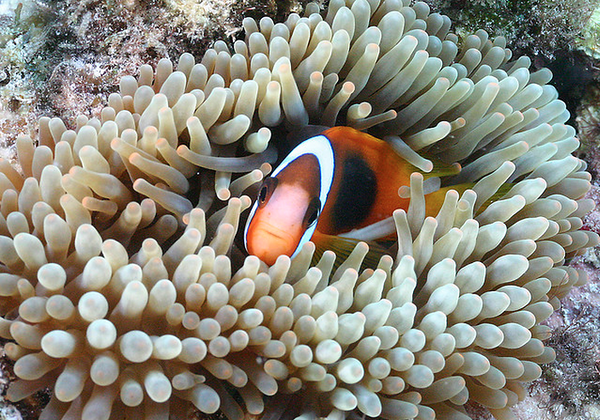 So large you can see it from space, the Great Barrier reef is almost like an “underwater country”, comprising 400 separate reefs, cays and islands – with over 1500 species of fish and 1500 shipwrecks – the Great Barrier Reef sounds like my kind of playground! But I would like to do more than just an overnight trip to scuba dive – the dream would be to spend a couple of weeks sailing around the reefs and go snorkeling and diving at my own pace. 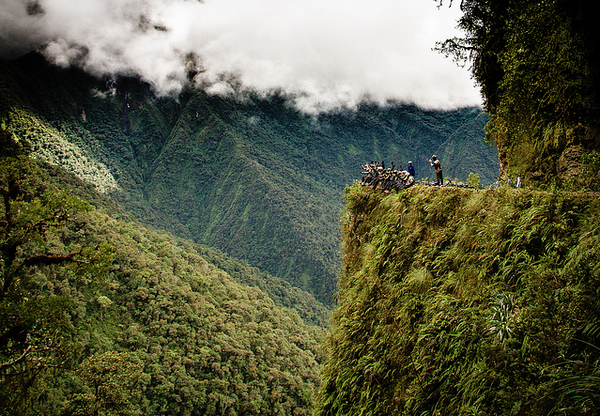 We’ve written about it before, and when Andrew Tipp wrote a guest post on our site it really inspired me to want to do the trip myself and bike down the Death Road in Bolivia – not only are the surroundings beautiful, but I like a road with a bit of gritty history and it would definitely be an experience to remember. Destinations For the Adventurous Traveler – There are many unusual holiday destinations that once were the privilege of pioneers, and those brave or crazy enough to venture onto the rugged shores. Nowadays the sky is the limit (Climbing Mount Fuji)- well, either that or your budget..! But let’s forget about the budgeting and dream for a bit, after all the stuff that doesn’t come easy is often the most rewarding once you finally accomplish it. Given the fact that we work so hard throughout the year, the need to enjoy our annual summer holiday is vital. Whether we plan to spend a long weekend in the countryside, a week’s cycling on rural roads or a fortnight relaxing on a sandy beach, we want to have a good time from the very first moment right through to the last. Going on holiday is generally an expensive process, but it’s one that in most cases is well worth the cost. Every man and women who goes away may be looking for something unique to them, of course, but in the main we are looking to spend time doing what we like doing, and in the process to create memories that last forever. Even those travelers who are looking for rest and recuperation will want to take part in at least one or two activities during their trip, so it makes sense to look for a little something to do when they have spent enough time on the sun-lounger. Topping up the tan is all very well, but after a while you need to get up and do something fun. Some holiday-makers will head to the local golf course in order to enjoy a few hours on the lush fairways while others may head out to sea to savoir some windsurfing. Of all the highly enjoyable activities to try, however, surely you have to consider a Segway driving experience, because people of all ages should try this at least once. Explore Antarctica for an adventurous travel insight of an unforgettable wilderness lifestyle you will never forget. Learn about the early explorers of Antarctica, the weather patterns and seasons, whales, penguins and other types of birds and wildlife and so much more while sailing one of the Antarctica Cruises and Antarctica Cruise Tips through this vast continent and the islands surrounding it. 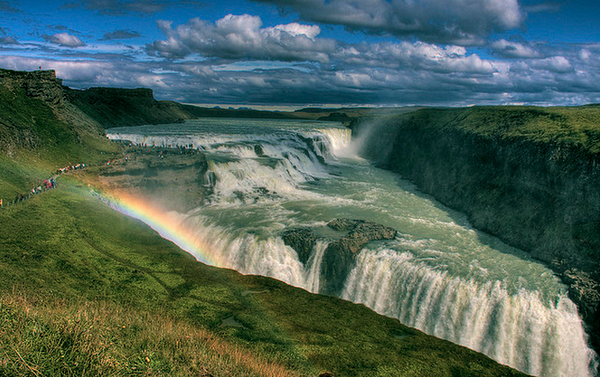 top adventure spots you’ll want to check out. The best time for whale watching is between early February and March which is in late summer in Antarctica. 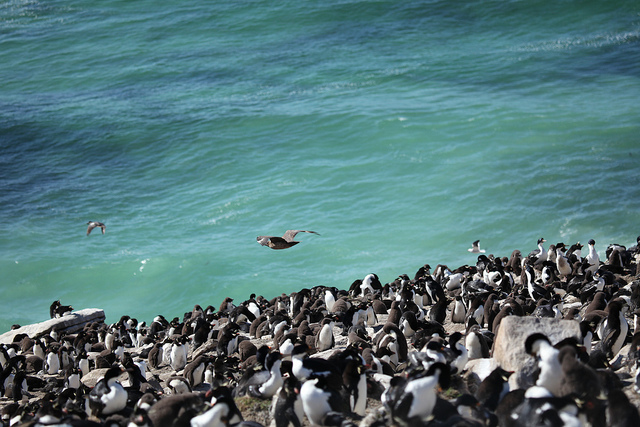 Falkland Islands are home to wildlife such as penguins, seals, petrels, gulls, albatross and more, and the scenery is amazing. Enjoy kayaking amidst icebergs near South Georgia and take in the beauty of a wilderness setting that is otherwise known as paradise. Whether kayaking or aboard a zodiac, enjoy the peace and quiet of this vast wilderness landscape. The Antarctica Peninsula is less than 2 days from southern Argentina. 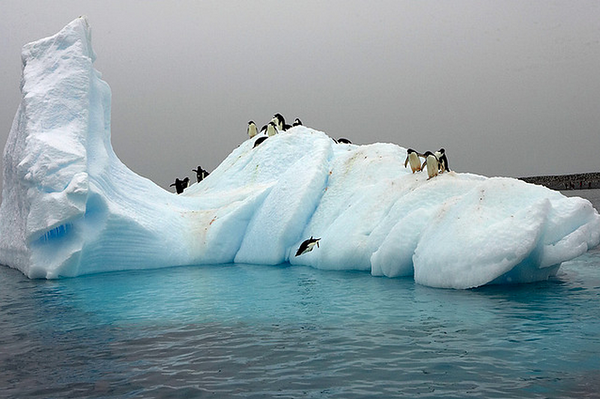 You can camp on the ice, go scuba diving, hiking, shoe shoeing, skiing and kayaking in the Antarctic Peninsula. This wonderful wilderness experience is one you may have only dreamed of and is a wonderful experience for those who love an adventure. Take your camera to photograph the seals, large colonies of penguins, and stop at one of many whale watching stations along the way. Courting rituals among seals and penguins take place during the months of November and early December. These are the warmest months in Antarctica and by January the chicks are hatching. The seal and penguin pups can be seen here in late January. Sail through Drake Passage, see the South Olney Islands, the South Shackleton Islands and Commonwealth Bay on the way back to Buenos Aires. 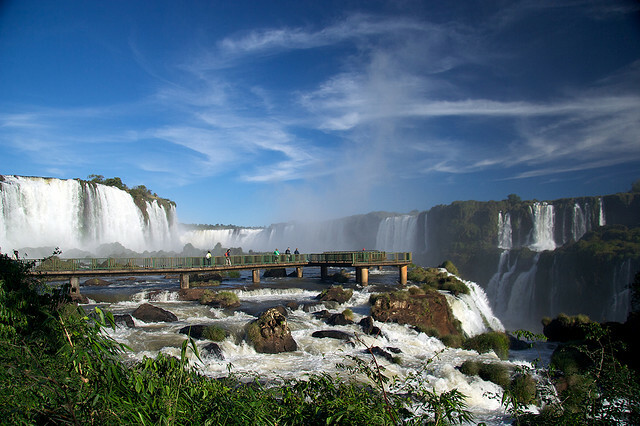 Side trips to Buenos Aires, Iguazu Falls and Mendoza Wine Country are available. Iguazu Falls is known as the 8th Wonder of the World while Mendoza is a quaint historic village surrounded by beautiful vineyards. In Buenos Aires, Argentina, colorful houses, historical artifacts and landmarks and a lively lifestyle are amazing. The amazing icebergs and glaciers and many types of birds and wildlife greet you each day. 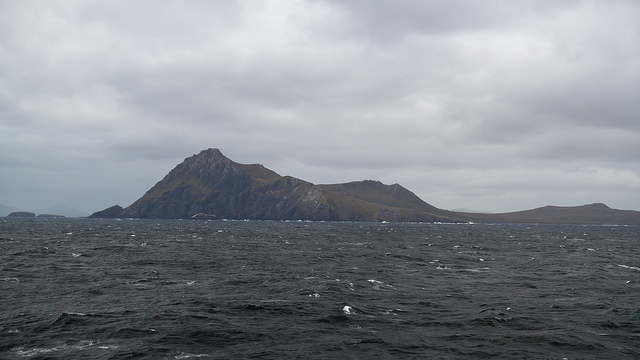 This is where you can check out colonies of penguins, seals, whales, as well as birds like petrels, fulmars and shearwaters – or float about in the ice water in a dry suit. Antarctica’s bewitching atmosphere of sheer blue cliffs of ice, and the immense silence will surely win a place in your heart. It’s possible to either fly in or take a ship to Antarctica during the southern summer. Be warned though, it doesn’t come too cheap to follow in the footsteps of Scott and Amundsen. 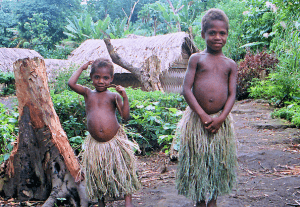 While you are in the southern hemisphere, check out the rugged and untouched wilderness of Papua New Guinea. 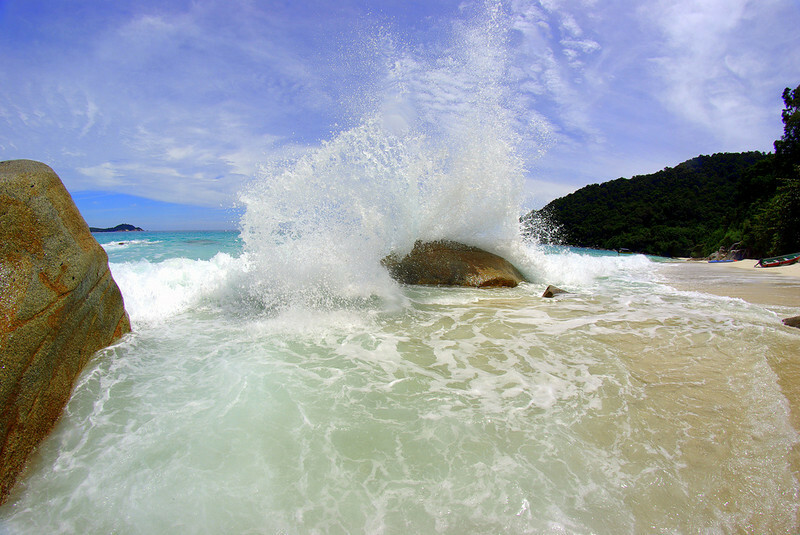 The country features great jungle terrain, mountains and beaches that are perfect for hiking, fishing, diving, surfing and local wildlife spotting. 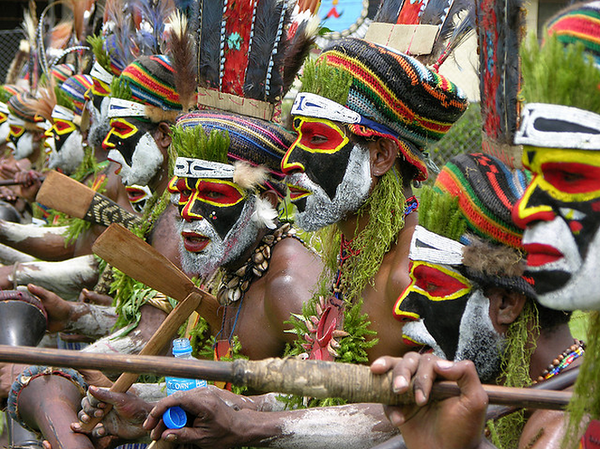 Go during the traditional ceremonies at Goroka and Mount Hagen for local singing and dancing demonstrations. Then you can bed down in a local village along with local people: this is a great way to immerse yourself in the culture, just remember to be respectful of local customs. For a journey into a strange and magical world that’s a little closer to home, consider Finnish Lapland: there are plenty of off-beat activities to enjoy in the traditional home of Santa. There is a unique atmosphere in Finland’s countryside and the alpine trees are some of the oldest in the world here, with one tree in Inari known to be 529 years old. If you go there during the summer, it’s possible to pan for gold. Finland is the last country in Europe where there’s a profession of gold prospecting still goes on. Also make sure to tuck into some delicious pies made from berries only available in the arctic region: lingonberries, cloudberries and crowberries – I highly suggest searching out the cloudberries, they’re the most delicious berries you will ever eat! Intrepid adventurers who adore diverse cultures and untouched beauty should go off the grid to discover some of the most remote places in the world. It seems a little strange that we tend to try these activities more when we are away on holiday, because opportunities exist when we are at home as well. Sometimes it can be great fun to find something to do with the family at the weekend, especially perhaps when the sun above us is shining brightly and the skies are a clear blue. Many people like to organize their annual holiday with almost military precision. We draw up a rigid itinerary which we tend to stick to with a great deal of determination, and any deviation from this schedule will be frowned upon. Others may be a little more instinctive, of course, but for some it all needs to be efficiently arranged. The next time you plan a holiday, whether it is to an exotic new destination or to somewhere you have been on many occasions, why not try a few exciting activities as well as plenty of relaxation. There are times when you never know that you are making memories. A wonderful world of excitement is ready and waiting to be found. Many of the most popular island destinations were created by a volcano and are now home to beautiful sand beaches, diving, surfing, and amazing local culture. 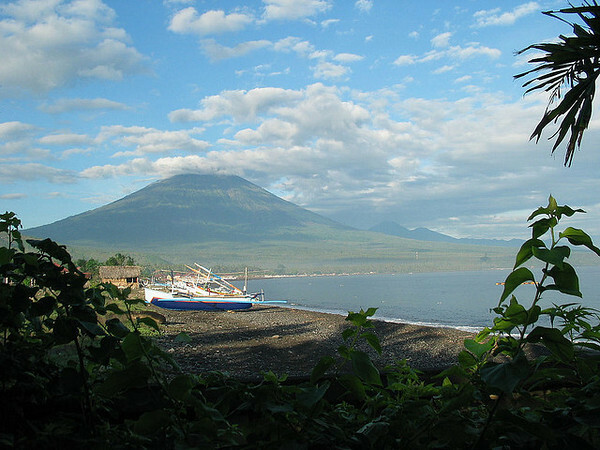 You can add adventure to your stay on these islands by participating in activities that get you close to the volcano. While taking a holiday vacation in Hawaii in The Aloha State, you will want to visit Hawaii Volcanoes National Park. Located on The Big Island, this impressive park is home to Kilauea, one of the most active volcanoes in the world. You should also carve out some time to explore caves and craters. Another active volcano in the park is Mauna Loa. The majestic mountain is the largest active volcano in the world. Do not forget your camera because you will want to capture the stunning landscape. The gorgeous island of Bali contains two popular active volcanoes, Mount Batur and Mount Agung. The scenery and natural beauty of these volcanoes is stunning. You can view the mountains while riding in a helicopter, hike up the mountain, or even venture inside the crater. The views at Lake Batur are picturesque, and it is a perfect place to enjoy a spectacular sunrise or sunset. Numerous restaurants offer local cuisine and an observation deck is available. The views from the top of the volcano are simply breathtaking, and it will be a Bali holiday to remember. Situated in the southwest Pacific Ocean, Vanuatu is a beautiful island and also home to several active volcanoes. One of the most fascinating places to visit is the lava lakes at the Ambrym volcano, a holiday in Vanuatu would clearly be an experience of a lifetime. This pristine area of the world is the perfect place to take a relaxing holiday. 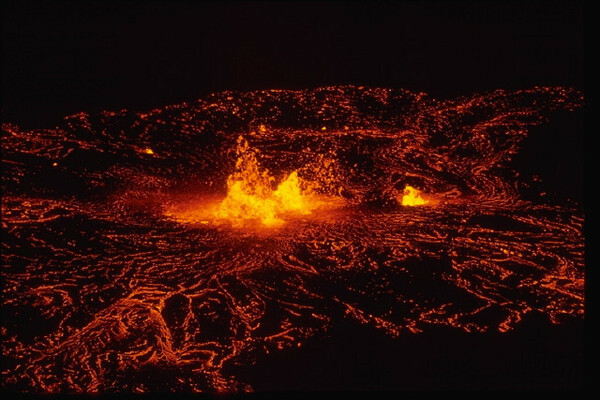 Some of the most active volcanoes in Vanuatu include Ambae, Ambrym, Lopevi and Yasur. 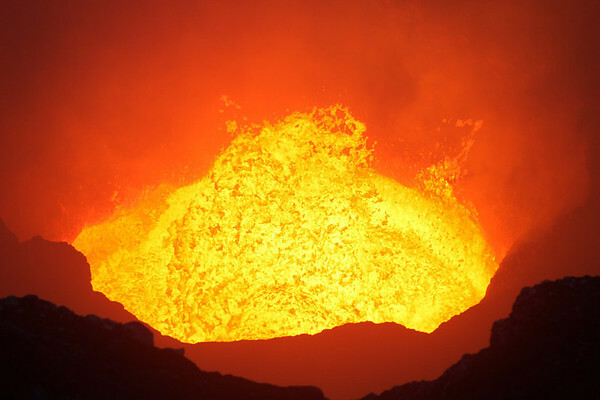 Here you can experience ash planes, shock waves, and exploding lava. 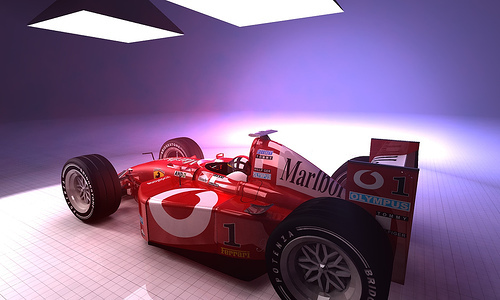 Every car enthusiast’s dream is to experience a Formula One race in the flesh. There’s nothing as thrilling as a field of super-cars screaming around the track, their unique sound a tribute to the pinnacle of mechanical and automotive engineering made flesh. As the battle between the top drivers for the ultimate glory of winning the Grand Prix unfolds, spectators are held in riveting suspense throughout each and every race. Packed with unrelenting thrills and spills, Formula One continues to be at the forefront of heart-stopping action, and there’s no better place to experience this than at the track. 2013 may be the last chance to watch the F1 action at Albert Park, located in the thriving cosmopolitan city of Melbourne. With the famous ‘four seasons in a day’ climate, the racing is always on edge and full of suspense as teams face the prospect of rapid changes between a wet and dry track. If you’re looking for a holiday while watching the F1, Melbourne is definitely one of the best locations to see all the sights once the racing stops. Due to the proximity of everything, you can ski in the morning, play in the surf by afternoon, and watch the sun set over the rolling hills in one of the famous vineyards by night. There’s no denying the glitz and glamour of F1, and at no other track is this more apparent than at Monaco. Every year at race time, the harbor fills with prestigious yachts, owned by celebrities and businessmen hosting extravagant parties once night falls. This is a tight and very technical track, known to test the elite skills of the driver more than merely the technology of the cars. Monaco is steeped in automotive racing history, and is a must-see for any fans wanting to explore the heart of F1 racing. Known as the “Jewel in the F1 Racing Crown”, Singapore hosts an unforgettable experience for all fans. The F1 was first held at the new Marina Bay Circuit two years ago, and was the first Grand Prix to ever be hosted at night. This night racing is one of the reasons Singapore is an event simply not to be missed in the F1 calendar. The new, fast-flowing circuit at Silverstone is definitely a must-see for F1 fans. Developed by top automotive architects in conjunction with top drivers and MotoGP riders, as well as incorporating advanced scientific research, the resulting track improvements guarantee some of the fastest racing in the world. The developments also bring spectators closer to the action, and have increased the number of grandstands around the track. With three new overtaking opportunities built into the circuit, Silverstone promises to deliver tight, suspenseful racing from start to finish. No matter where you go to watch an F1 race, you will have the experience of a lifetime. That being said, these are a several of the most memorable circuits which every F1 fan has to at least see once. From the glamour and history of Monaco to the contemporary night racing in Singapore, Grand Prix continues to delight fans worldwide with non-stop action and excitement. Traveling is such a fun experience, why not plan a Group Adventures tour for some extra fun? Overseas destinations can be quite the adventure when you can include your family or your friends. Europe is a top destination for group tours, just a jump across the pond and you’re in for some amazing destinations combined with great company, interesting new cultures and tons of fun activities. If you’re about to make plans, there are some neat options and top tours to Europe offered by adventure specialists. One tour that you’ll never forget would be a visit to Israel and Jordan. 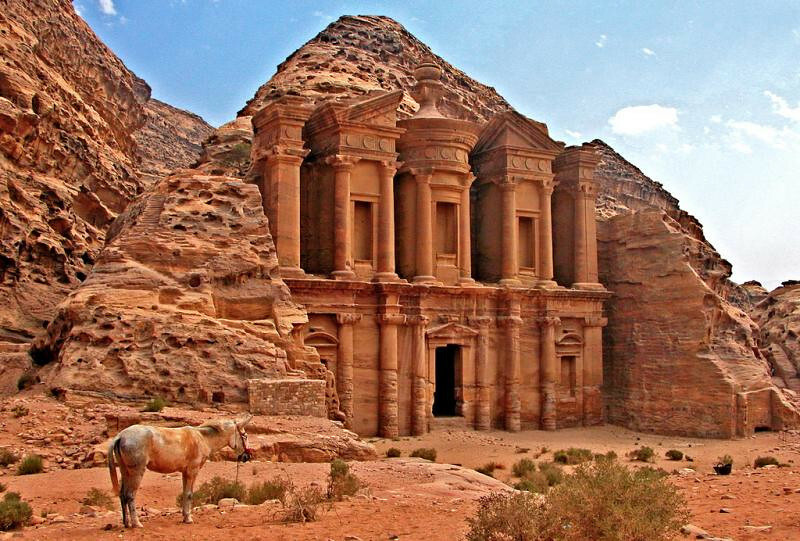 You can explore Petra – the City with a Forgotten Past, also known as Red Rose City. Because it’s situated near the Dead Sea you can enjoy spending the night at a resort hotel on the beautiful spa like mineral springs. You and your family will be fed well and pampered while enjoying days full of adventure. Then its off to visit biblical sites in Jordan, the Jerash ruins and Moses Promised Land. 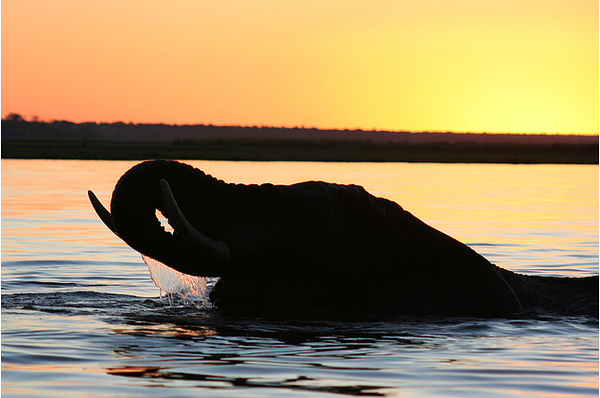 Have you always wanted to visit Africa? Take an East African safari and stay in a mobile tent camp. 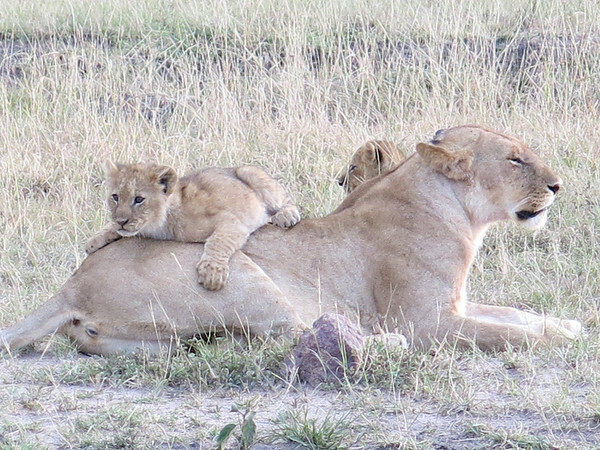 You and your friends can watch the Great Migration of animals as they cross through Tanzania and Kenya plains, or take a Hemingway Safari to see the animals cross the Serengati and Masai Mara. There are many options for both group tours and independent tours, both full of outdoor adventure. If Britain and Ireland have been on your travel list for a while, this is another tour you can consider. Some packages begin in London and go on through the country to Stratford Upon Avon where Shakespeare was born. You can visit locations such as York Minister, the Yorkshire Dales National Park and go on to Saint Oswald’s Church. Glasgow, Dublin, Edinburgh and Belfast can also be part of your adventure while taking a ferry to these northern cities in Ireland. Malaysia and Singapore are favorite place to visit and so full of culture and excitement. Kuala Lumpur is such an interesting destination and is absolutely amazing with it’s busy city, shopping and crafty markets. The landscapes in this destination are simply stunning, the perfect country to have some fun adventures with your friends or family. Climb Mount Kinabula, tour the Mulu caves, or check out Turtle Island for memories that you’ll take with you throughout a lifetime. You can also see the Cameron Highlands and even travel into Singapore while on a Malaysian tour. It is said that variety is the spice of life, a guided tour can be a great experience. Most services understand your need to explore and will plan out your Group Adventures. This helps you focus on having fun and making memories as well as having the freedom to explore, shop, eat and soak in a new interesting culture. Being on the road broadens every traveler’s horizons. When traveling in East Africa, the focus is not so much on arriving “on time” as it is on simply arriving. There are a million factors at play; there are not always set transportation schedules (trains have even been known to be days late) and sometimes unpaved roads can be washed out. 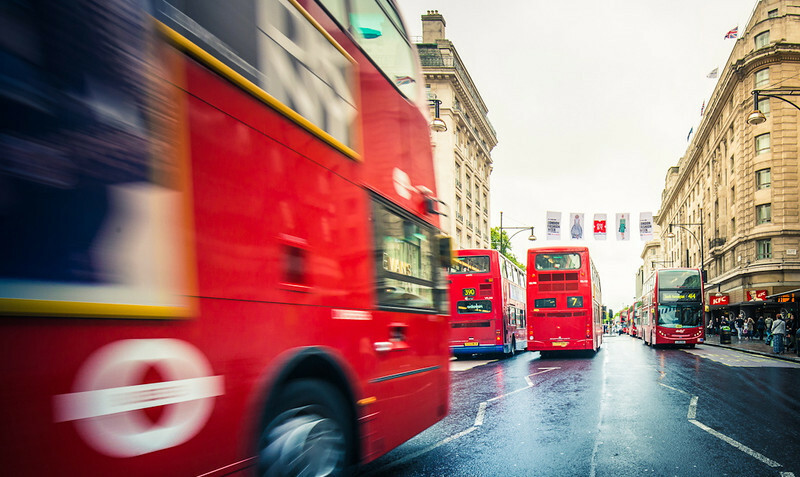 A journey may take hours longer than intended and it may be incredibly uncomfortable in an overflowing mini bus, but if you’ve arrived where you intended to be–everyone is happy. 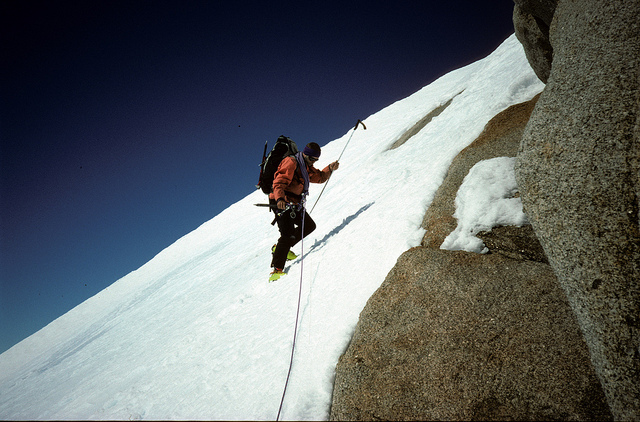 Guides repeat this over and over to climbers on treks up Africa’s great mountains, Mt. Kenya and Mt. Kilimanjaro. The point is that it’s not about being the first one up the mountain, because the mountain isn’t going anywhere. What’s important is just to be making the climb. Showing patience in these situations removes stress, and for a backpacker adopting this attitude can be therapeutic. If there’s something you want to do, all you have to do is ask. In most cases, people will go out of their way to allow the exchange of knowledge and ideas. In East Africa, the red tape we’re accustomed to in the U.S. is incredibly reduced, whereas things can get so bogged down in the Western World by process. Want to paint a school? Want to teach a preschool or computer class? Chances are the school administrators will not only clear the schedule with as much time as you need, but the students will also provide a welcome ceremony that would fill any traveler’s heart. 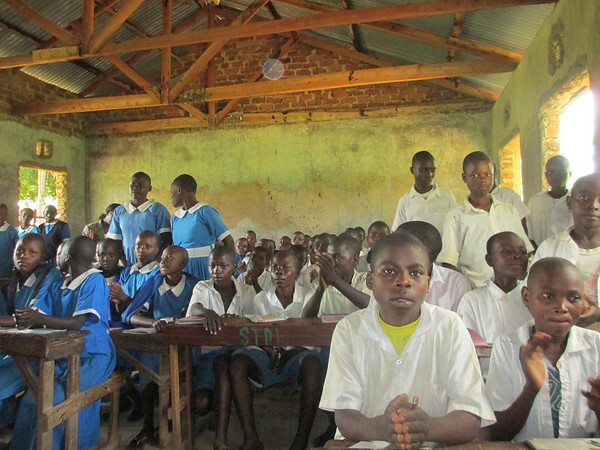 In East Africa, it’s not unusual for something out of the ordinary to be constantly happening. There is always a stunning landscape to inspire awe, or a bull elephant to stalk your bus at the roadside because the route winds through a National Park. There could be a woman unflinchingly handing you her second youngest child to hold, as she breast feeds her youngest right next to you. In times like this, one cannot help but just be absolutely in the moment. In the West, we have a tendency to be disengaged. We rely on smart phones to avoid really interacting with the people and environment around us. But no one is isolated while backpacking through East Africa. To thrive you must be agile and present in that very moment. Everyone stops and asks one another how they are doing. Many East Africans show genuine concern for and interest in the well-being of those around them. It can take 30 minutes to walk someplace that would normally take 10 minutes because so many people want to stop and chat. A village mentality prevails, and one cannot help but feel a sense of connection that can be missed from daily life in the States. Back home, we put ourselves in these separate boxes. In our society, it becomes so easy to feel isolated and disconnected. Community is a powerful idea, and so much of its strength is driven by these small, seemingly simple, social interactions. This goes a long way to explaining why so many Africans seem so happy in spite of some of the tougher living conditions. It goes without saying that traveling, or doing just about anything, is not easy in East Africa. Yet at the same time, it is usually worth the hassle. For many, summiting Mt. 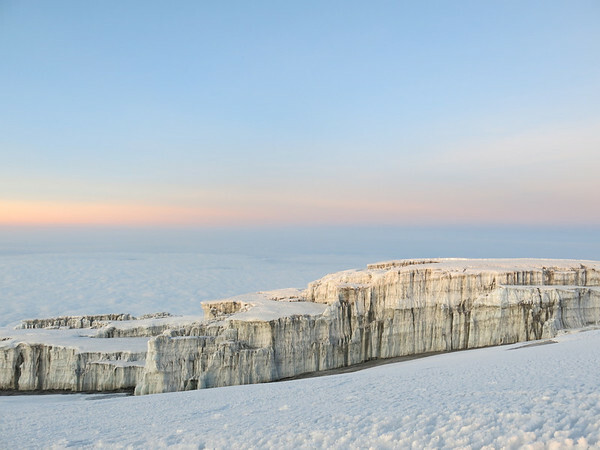 Kilimanjaro can be one of the hardest feats of their lives. Seeing the sunrise from the “rooftop of Africa” can also be one of the most rewarding. The East African people are a contrast in and of themselves. There are so many people with their hands out, asking foreigners for something or trying to hustle them into buying something. 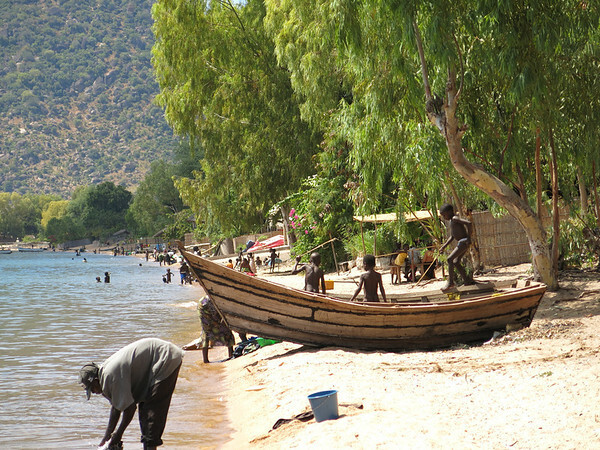 Meanwhile, if a traveler is truly in need, East Africans typically demonstrate incredible kindness and accommodation. The challenges are plentiful, but when approaching East Africa with an open mind and open heart the rewards can be abundant and everlasting. We have all heard the famous quote/cliché “it’s not about the destination, it’s about the journey” which has been twisted and reworded in a thousand ways – and many of us would agree. 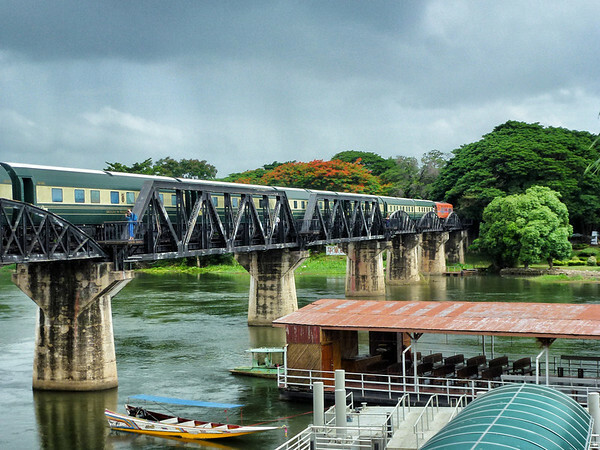 There is something special about train travel, something which we personally prefer over any other type of transport. You can sit for hours on end just enjoying the views from the window – but with the Orient Express trains, train travel takes on a different twist. Their luxury trains are far from the normal trains people take; you’ve got entertainment, glamorous bar cars, 5-star cuisine served in the dining cars, an observation deck and more – for us it was one of the most luxurious journeys we’ve ever made. One of the most beautiful bus journeys we’ve ever made was to the Milford Sounds in New Zealand. The purpose of the journey is to take a cruise on the Milford Sounds, but to get there from Queenstown takes 8 hours, which is a very long journey. On the plus side, the bus travels through some of the most amazing landscapes of the country, and stops in several places so you can get off, take short walks in the forests and enjoy the scenery. The trip is cheap so it’s definitely doable for budget travelers. With Marco Polo Club you get to travel through Botswana, Zambia and South Africa, discovering their many wonders in very different ways; a houseboat, a 4×4 vehicle, on foot, from above in a helicopter and on a luxury vintage train..! With so many different types of transport, you really get to see these countries from completely different perspectives. Imagine waking up on a house boat and spend your breakfast watching the scenery going past you on the Chobe River. 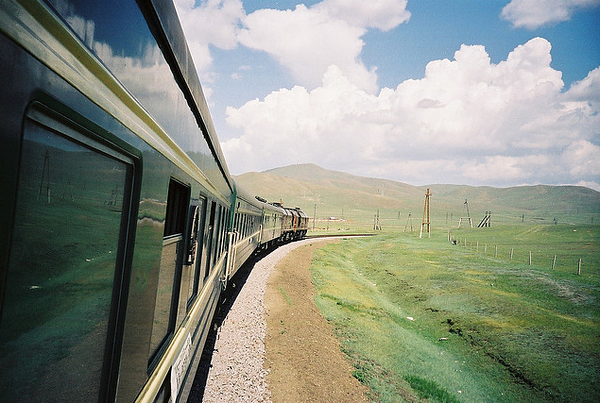 Traveling on the Trans-Siberian railway is among the most common dreams on peoples’ bucket lists, including ours. This has to be one of the most adventurous train journeys in the world, but I don’t know if I would be able to handle traveling the entire length of it, but I would definitely take it for 5 days or so. Taking this trip is not the same as the pre-organized tours on the Orient Express. This involves a lot of planning on your own, especially if you plan to get off at different stops along the way. 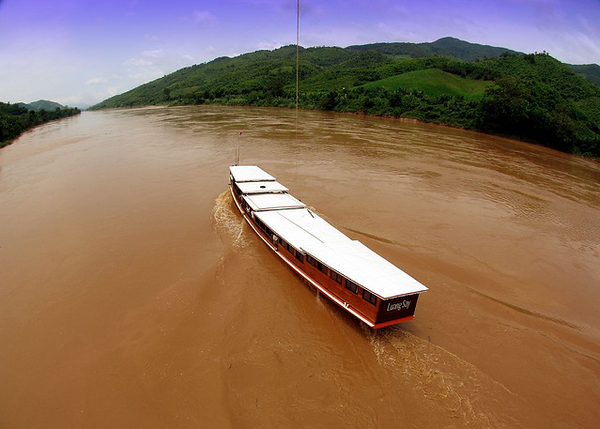 During your river cruise, fascinating lectures will be given by historians and local guides. Gain insight into the Angkor period of Cambodia, as well as the harsh regime of the Khmer Rouge. Learn about local customs and discover the history behind the Vietnam War. By night, the Saigon Lounge becomes a musical theater presenting a program of the local cultures. Many of the musical evenings are interactive. 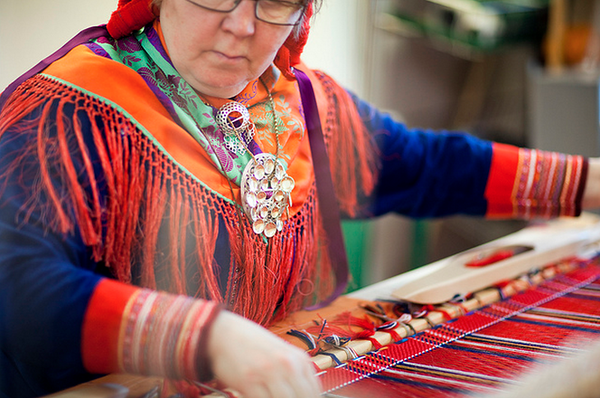 Learning about traditions and local customs will undoubtedly enhance your appreciation of the places you are visiting. You can also experience entertainment at sea aboard Pacific Jewel Cruises that you never thought possible – the dazzling selection available to you will no doubt become one of the most memorable occasions of your cruise experience. What is your favorite trip when the journey is the highlight? Traveling to foreign lands is an adventure. It’s a wonderful way to broaden life experience, and sample a taste of what it’s like to live in distant places. It can also be a major strategic undertaking that’s rife with risks and pitfalls. In order to avoid these, keep these tips before you leave to go abroad in mind. Nothing is worse than getting sick in the midst of travel, and it’s a particularly trying experience when you’re visiting a foreign country. Visit your doctor for a thorough checkup, making certain that you’re up to date on vaccinations. Also, contact your health insurance provider to ensure that you’ll be covered wherever you travel. If not, now may be a good time to purchase supplemental insurance that will cover you everywhere in the world. Your passport can ease a multitude of travel headaches, but losing it or having it stolen can become a travel nightmare. 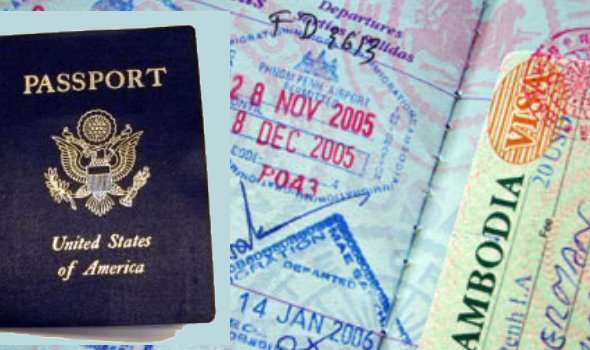 Among these tips before you leave to go abroad, this may be one of the most important: make copies of your passport. Leave a copy at home with a friend or relative. Take the other one with you, storing it separately from your passport to use in case something happens to the original. Interested to come to the US? While you’re traveling to a foreign country to be able to explore it, it’s advisable to get informed before you leave. Take the time to learn about the local culture and the political climate. Social or political unrest can easily affect your travel plans, and you definitely want to know about these things before you arrive so you’ll be better able to cope. Additionally, learn about particular crimes that tourists fall prey to in the region you’re visiting. If you’re armed against pickpockets and tourism scams, you’ll be much better able to enjoy your trip. Other important tips before you leave to go abroad include contacting the State Department. If you’re a U.S. citizen traveling to foreign lands, you’ll want to take part in the Smart Traveler Enrollment Program. You can easily file your travel plans online, helping the government to locate you and provide assistance should it ever be required. The program also enables the government to contact you in the event of an emergency stateside. Foreign travel is an exciting adventure, and with these tips before you go abroad it’s possible to avoid many of the common problems encountered by tourists who are far from home.